America has always been a land which has worshipped many things other than God Almighty: pagan gods, money, demons, idols of one sort or another, self, sports, music. And so, as more and more of the land has been given over to idolatry, the land has grown sicker and more desolate. Still, Americans cling to what kills them: their demon gods and the fruit of such unholy beings. Because Americans have equated “blessed” with “abundant material goods,” they have been able to deceive themselves and others about the nature of their worship. But after only 240 years, the country is sliding down,down, down economically and otherwise. Healthwise, Americans are the sickliest people of any industrialized country. One would think even those blinded by deception could see it, but apparently not. Many worship their pagan gods, believing no one sees them. A day of reckoning is soon enough coming. 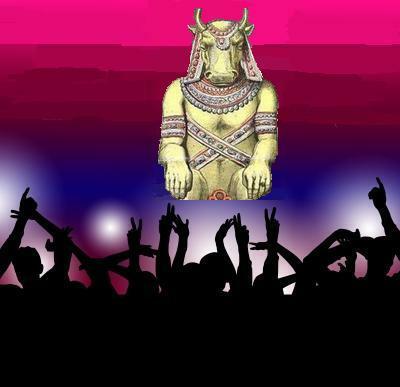 Make no mistake: idol worship is the worship of pagan gods. The worship of pagan gods is the worship of demons and the demonic. Demons and the demonic will not only lead to eternal damnation, but to physical destruction in this world as well. The deceived are deceived and the deceived are lost and dying. IS the reader secretly trusting in some thing or force which has been slowly killing him?